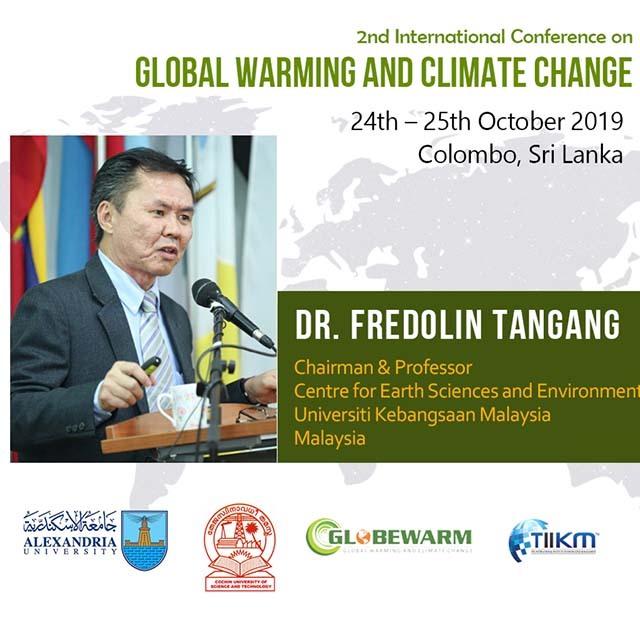 Professor Fredolin Tangang, the keynote speaker of the GLOBWARM 2019, is a professor of climatology at the Centre of Earth Sciences and Environment, Faculty of Science and Technology, the National University of Malaysia. He is an Expert on climate change and climate variability. Prof Tangang obtained his PhD in 1997 from University of British Columbia, Vancouver, Canada, where he researched and developed a model to forecast the El Nino –Southern Oscillation (ENSO) phenomenon.